The Anne van den Ban Scholarship Fund, previously known as the `Stichting Redelijk Studeren` (Sharing Responsibility for Students), is named after Dr. Ir. Anne van den Ban, former Professor of `Voorlichtingskunde` (Rural Extension) at Wageningen University. 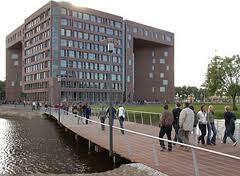 The fund was founded in 1992 by two Wageningen alumni. Demikianlah artikel mengenai Anne van den Ban Scholarship Fund, Masters Scholarships for Students from Developing Country, Wageningen University, Netherlands Semoga Bermanfaat Bagi Anda.